Vivia Center offers EndyMed Pure at our MedSpa in McLean, VA. EndyMed Pure laser skin tightening is a quick and pain-free procedure that can tighten and tone your skin, while reducing visible wrinkles. 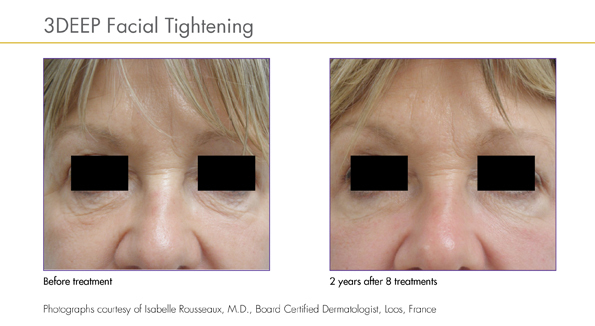 The treatment uses radiofrequency technology to heat and tighten the underlying layers of tissue, without damaging the outer skin layers. There are only a few lasers in the market that use this technology. These lasers are the most advanced and highest-rated lasers in the market, and they are the only types of lasers Vivia uses for skin tightening treatments. 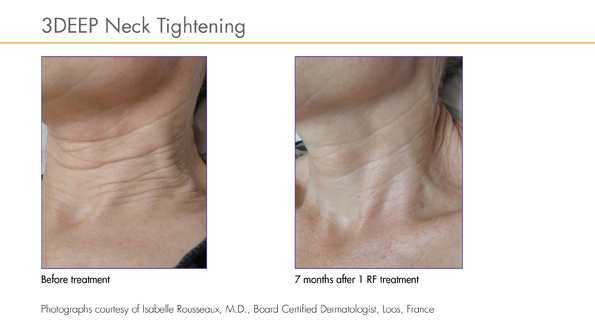 The procedure works by stimulating your own body’s collagen renewal process, using RF (radio frequency) technology that penetrates and heats deep beneath your skin. Because each patient is different, we may need to customize your procedure to meet your goals. This may involve multiple sessions over the course of several weeks. 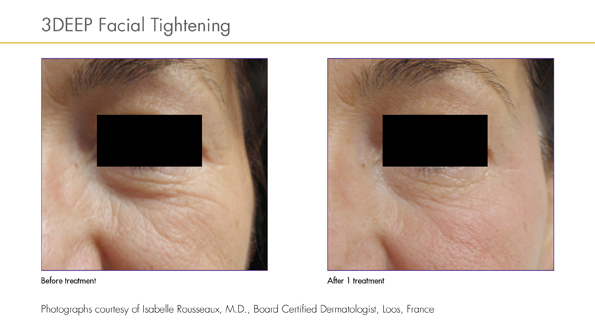 The most important thing to understand about laser skin tightening treatments is that high concentration of radio frequencies are the only way to penetrate deep enough in the dermal layer of the skin to actually stimulate the collagen for cell growth and eventual tightening. At the beginning of your 30-40 minute treatment, the targeted areas are cleaned. They are then treated with a special hand piece that gradually heats your skin and deeper layers of tissue. The temperature of your outer skin layers will be monitored and should not feel hotter than a typical hot shower. You will see results after the first treatment and marked improvement after each treatment. It usually takes three treatments for optimal results. 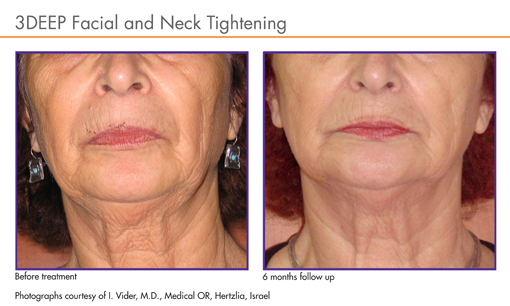 EndyMed Pure (RF) is great for someone starting to lose skin elasticity. 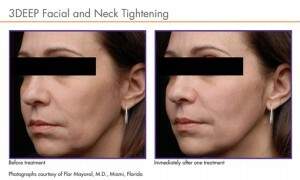 For a specific area like the jowls, EndyMed Pure (RF) is very effective. Endymed Pure employs extensive safety features, including contact sensor, hand piece motion sensor and skin temperature sensor. EndyMed Pure is safe for all skin types. 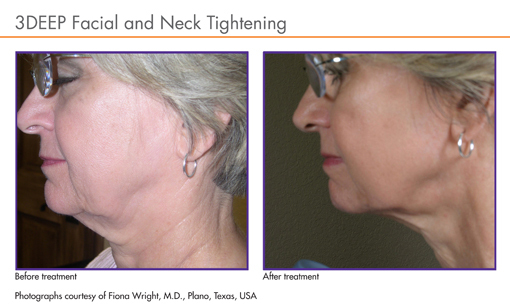 The EndyMed procedure is quick and painless and requires no downtime. 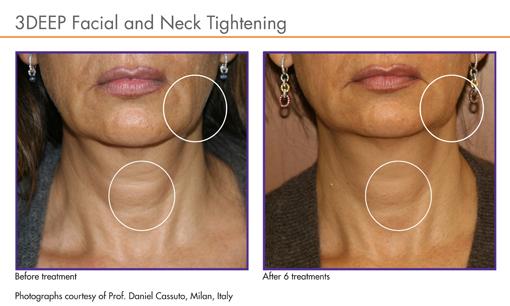 Clients are free to resume normal activities immediately after treatment. If you’re ready to try EndyMed, contact us to book your appointment for EndyMed at Vivia Center in McLean, VA.